I'm going to go see "Hail, Caesar" this weekend and am anticipating enjoying it thoroughly. 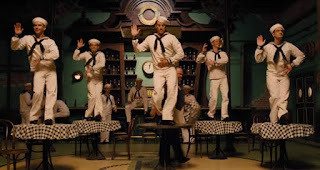 Face it, there's nothing quite like seeing sailors tap dancing on tables in their clean, white uniforms to get the blood pumping. So, when I saw an interview with the Coen brothers in The Daily Beast I thought this might be an interesting read, and it was. Surprisingly, the interviewer was more concerned with their opinions about the recent diversity scourge plaguing Hollywood. It was new perspective, one most people don't consider. 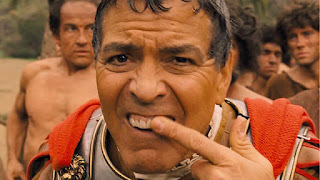 Who ever thought that George Clooney, who tried to hit one out of the park on the lack of diversity, should have a production company which employs and casts very few? Hhmmm. And I agreed with the point they made about writing the story. The story is what is important and when you feel you need to include a minority just to make sure they are included, you are losing sight of the story. 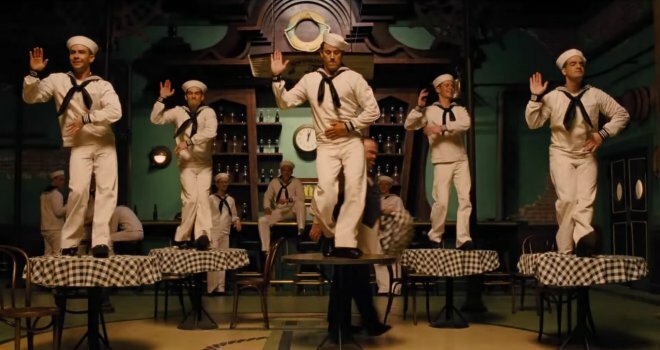 The Coen brothers are very successful film makers, they, themselves, are Oscar winners and some of their films include minorities and some of them don't. And then I thought about all the detractors clambering about the lack of diversity at the Oscars, one of whom is Spike Lee. Lionsgate released his "Chi-raq" on December 4th specifically so it might be considered. While critics thought it was fresh, the audience pretty much hated it. It never played in more than 305 theaters and couldn't even muster $3 million in ticket sales. This is what they call a turkey, and it took over 30 days before it was finally cremated. So, how many of this year's nominees were in turkeys? Personally, I think Spike should put out a product which successfully garners ticket sales before he starts to complain. As for George? Well, people like to see George on the silver screen. But maybe next time he should make sure his dentures are fitting properly before he speaks out. It looks like a great film. I love their stuff. Yes, I really like their unique perspective.